Mining giant Rio Tinto has said that heavy rain in central Queensland is continuing to have an impact on its operations in Australia. Three of its mines - Clermont, Blair Athol and Hail Creek - have been affected, a company spokesman said. 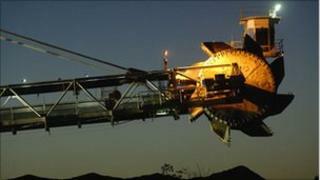 The wet weather in Queensland has forced several mining companies to declare "force majeure". This allows them to cancel their contracts by citing circumstances beyond their control. The heavy rain has affected some mines since September, hitting both coal output and transport, causing stockpiles in the region to decline sharply. The Rio Tinto spokesman added that, as of Monday morning, the company had re-established access to the majority of operating pits and restarted rail lines.